GDPR Consulting Services. Breach Readiness Workshops. GDPR Trusted Advisors. All of us at Cyber Management Alliance are truly excited about the dawn of a new era in citizen-privacy. An age where, underpinned by regulation, organisations will be forced to rethink and relinquish hundreds, if not thousands of years of a commercial, profit-first mindset. Assessments: The best place to start if you are unsure or want to know about the gaps in your current efforts. Trusted advisory and V-DPO: We onboard as your trusted advisor on a retainer basis and offer you outsourced Virtual Data Protection Officer (V-DPO) services. GDPR Training and Workshop: We can hold GDPR workshops for various members of your executive teams or other staff members. GDPR Breach Readiness Workshops: We run an internal breach readiness workshop for executives based on our Cyber Incident Planning & Response workshop. “Our goal is to help your business be GDPR ready, in practice and in the spirit of GDPR; that of transparency, accountability and where the rights of the data subject are at the heart of your GDPR strategy. Amar Singh, CEO, Cyber Management Alliance Ltd. Managing and lowering information and data privacy risks to the business. Ensuring that underpinning IT and cybersecurity technologies are delivering maximum value. Ensuring your business is breach-ready and able to manage a GDPR related data breach. Required trusted advice from globally-recognised experienced professionals. Wanted a vendor-neutral perspective, not just someone selling services. Did not have a full time requirement for a security executive. Wanted the V-DPO to become an extension of their business. Wanted the V-DPO to understand office politics and the intricacies of human relationships. A strong stakeholder manager. Wanted the V-DPO to help align their business against international best practices and standards. Our virtual services are specifically designed for those organisations that require access to experienced information security and data privacy professionals but are unable to hire one themselves, either due to business and financial constraints or the acute shortage of skilled executives. Significant Cost Savings. 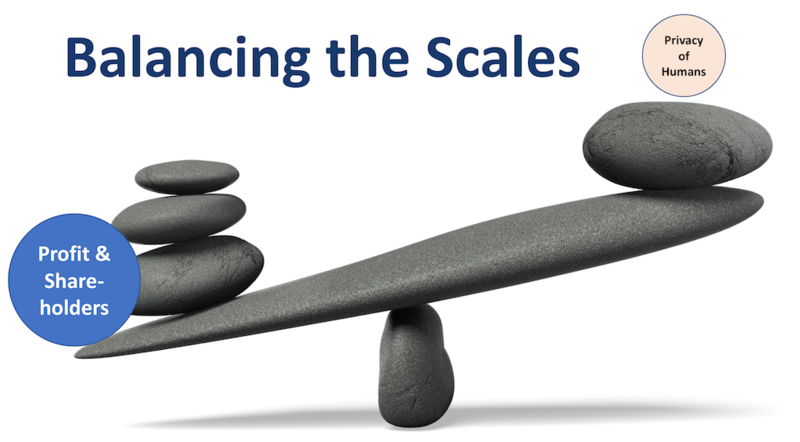 Our flexible scale-up or scale-down service allows you to match your changing security requirements and threat landscape while making tangible cost savings. Impartial, Vendor Neutral Advice. Our V-DPO will always act in your best interest to reduce your overall risk exposure, and to ensure maximum value of your current and future cyber security investments. Flexible to Your Needs. We recognise that your business faces constant change and our solution scales to your needs and business requirements. Increased Board and Senior Executive Engagement. Our V-DPO has the experience to educate and present to all types of senior executives, board members and non-technical senior staff. Put simply, our V-CISO can help with planning and support, communicating and influencing, assessing and maintaining, and taking a lead on all things related to cyber security and information security. Experienced Privacy Practitioners. Access to verifiable expert individuals who have held leadership roles and have a wealth of industry experience. Data Breach Ready. Our V-DPO will oversee and co-ordinate to ensure your business is prepared to deal with data breaches and incidents. Regulatory Compliance and Governance. Our V-DPO will manage and communicate with regulators for all data privacy and information security requests on your behalf. Specialist Training Included. Our V-DPO are experienced practitioners and offer specialist management-focused cyber security training as part of the V-CISO service. Depending on your requirement, we can deliver our flagship CIPR (Cyber Incident Planning & Response) training or our non-technical executive CSPE (Cyber Security & Privacy Essentials) training. If you are not sure where to begin, we suggest you start with an assessment. We offer our clients a light-touch assessment against the key focus areas of GDPR along with a mix of accepted Information Security Management standards like the ISO 27001:2013. Our approach focuses on using your business drivers to guide activities and we take into consideration relevant threats and risks as part of your organization’s risk management processes. In the complex world of GDPR, Cyber Management Alliance is the bastion of pragmatic, honest and expert advice on all things related to GDPR. Our common sense approach to providing our clients with V-DPO (or virtual Data Protection Officer) services means that clients can tap into our pool of experts without extending your current budgets. Virtual: This is where our experienced professionals interact with you remotely. Also referred to as offsite. Onsite: we visit your offices and sit down with you face-to-face. At Cyber Management Alliance we believe that the best trainers are practitioners, experts who constantly use their skills and expertise to help real clients with real problems. To that extent, our GDPR trainers are practitioners who will share their day to day experience with clients during the training and GDPR workshops. Having an incident response plan does not make you breach ready. Our GDPR breach readiness workshops are based on our globally recognised, UK GCHQ certified Cyber Incident Planning & Response workshops and provide you with the strategies, techniques and procedures to ensure you are ready to comply with GDPR’s notification requirements. DPO As A Service Cost - Save Over 80% in Full Time CISO salary, every year! A simple two day a month Virtual CISO plan with Cyber Management Alliance would cost you in the region of £24,000 per annum where as a full time, experienced CISO, on average, would set you back approximately £120,000 per year (not including hiring costs, sick pay, holiday pay and training costs and possibly redundancy payments). Retained: on a monthly contract that you can scale-up or scale-down. On a project basis: on a time and material basis, our V-CISO will oversee the whole project and/or transformation. This service is not limited to the UK and is available internationally. Our clients include various hedge funds, boutique wealth management firms, publishing companies and polices forces. For more details about our customers feel free to get in touch with us. Amar Singh has a long hisotry and experience in data privacy and Information Security and has served as CISO for various companies, including News International (now News UK), SABMiller, Gala Coral, Euromoney and Elsevier. Amar, amongst various other activities, is a Global Chief Information Security Officer and Trusted Advisor to a number of organisations including a FTSE 100 Firms and is Chair of the ISACA UK Security Advisory Groups. Amar has managed all types of Security Assessments and readiness projects in preparation for all types of accreditations including PCI, SOX, IS0 27001, COBIT and risk management, audit, business continuity, while being aware of TCP/IP, network security, secure software development, VPNs, mobile security, hacking techniques, database security, log management, access and authorization, email security and awareness of encryption algorithms. He has the ability and experience in dealing with auditors, both internal and external. Amar is an industry-acknowledged expert and public speaker and is regularly invited to speak and share his insights by some of the largest and most respected organisations in the world. All trademarks, service marks, trade names, product names, service names and logos appearing on the site, or on printed or digital material are the property of their respective owners, including in Cyber Management Alliance Ltd. Any rights not expressly granted herein are reserved. "Amar brings a unique mix of business strategy, technical and managerial experience. He is a thought leader on a large number of cyber related topics including response planning in event of a major cyber incident, responding to cyber attacks, training for senior executives and setting the correct agenda at board level." "Amar is marvelous in his knowledge and experience on cyber security and data protection. He comes with a vast experience and knowledge bank. I have not seen many professionals like him in the industry, as he has a deep technical understanding and a very good commercial and business focused mindset." "Amar is a knowledge leader in the domain of IT Security, Privacy, GRC and I have benefitted from his Cyber Business Executive Programme at Shrivenham, U.K. Now it is a life long connection and an opportunity to discuss Cyber with a reliable friend as and when I need." "I've enjoyed sharing information with Amar, meeting over coffee's to discuss emerging trends in Cyber and learning about the challenges faced by a CISO within a large organisation. I continue to look forward to Amars publications on Information Security and find him a very interesting person to work with." "Amar is unique; A great person with a very creative and fresh approach to information security & risk management. He is very experienced professional, a very good influencer and finds always the right way to communicate." "Amar was a keynote speaker as well as a panelist on the Hackers versus CISOs debate at the 2012 Global CISO Forum. He brought a lot of expertise and insight to the event and was a major contributor to the overall success. He was great to work with and extremely generous with his time and knowledge." "Amar is unique; A thorough professional he is both technically sound and experienced in engaging and winning over executive leadership and has the acumen to drive the Information Security message throughout the organisation." "I like Amar's unique and fresh approach to information security & risk management. Very business-like with a constant focus on practical Information security I am greatly impressed with the way he deals with all level of management including Senior C level executives to the super techies and of course us project managers. A true professional in every sense." "Working with Amar I found him to be a person with integrity and a deep proficiency in IT Security & Assurance solutions. He has been instrumental in designing and implementing a large IDS SIEM project. Amar is insightful, multi-skilled and an expert on all Information Security & Information Assurance matters. He is experienced, reliable, energetic, motivated and a result driven perfectionist." "I worked with Amar on a complex requirement that he was trying to fulfil. He is a proficient communicator and was able to dissect the request down into smaller, measurable pieces of work." "Amar is a unique individual, able to look at the minute detail of a security issue whilst holding onto a commercially aware "bigger picture". His largest impact was the design, procurement and implementation of a new firewall solution for the Trust which was a remarkably smooth project." Fiil in the form below to receive our free GDPR Preparation pack. Book a call to discuss or ask any questions about the course. Please don't forget to change your location first.